Also pretty easy. It would have been the Moldvay Basic D&D. 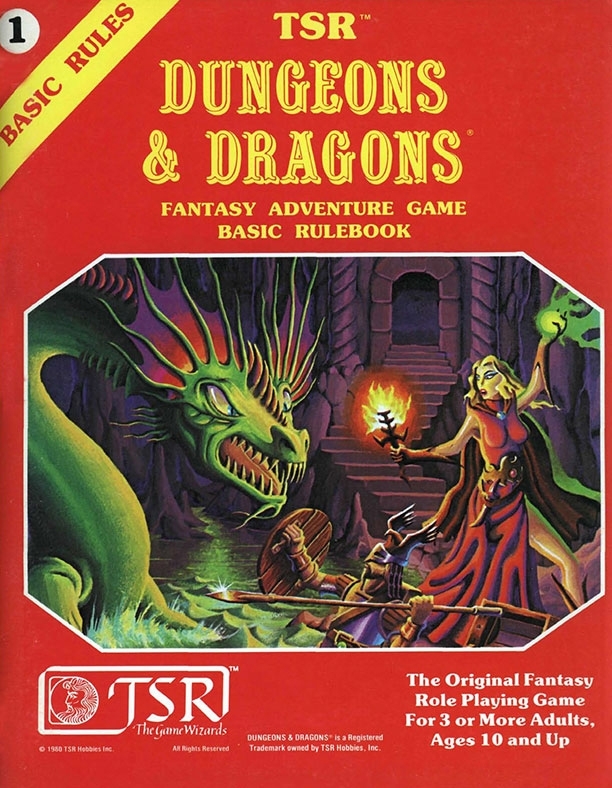 I wrote all my own adventures back then and my first dungeon had two dragons in it. It was not till later that I realized that with 10'x10' rooms and 10' wide halls there was no way for these dragons to get out. I hope there was a steady supply of adventurers for them to feed on! Not realizing room size when stocking early dungeon designs - I'm guilty also...lol.